I am now wondering if it is possible to draw water droplets falling down from each side of each arrow. 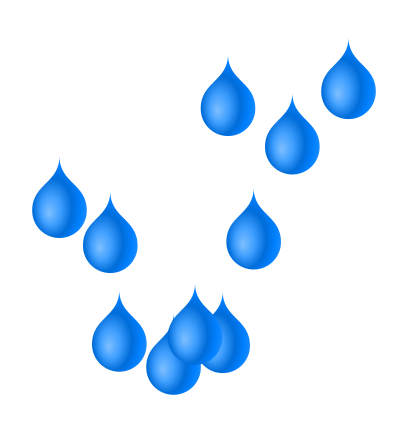 I know I can get an svg of a water droplet and then add that one in but I was wondering if this has already been done with tikz? 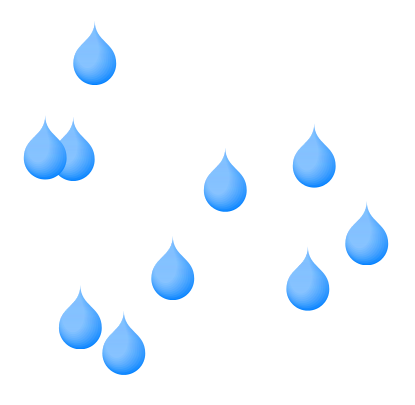 How to draw a water droplet in Latex?